According to a report by DigiTimes, industry sources are seeing lower than expected yield rates for 10nm processes, from both Taiwan Semiconductor Manufacturing Company (TSMC) and Samsung. 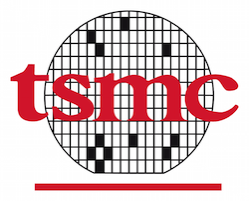 Although the former has landed 10nm chip orders from Apple, as well as from HiSilicon and MediaTek, with volume production set to kick off in the Q1 of 2017, yield rates for TSMC’s 10nm process technology “are not what the foundry expected”. The sources added that TSMC is scheduled to start making Apple’s A10X chips for the next-generation iPads slated for release in March 2017, although unsatisfactory yields for the foundry’s 10nm process could disrupt the schedule. The company is also expected to manufacture Apple’s A11 chips for use in the iPhone 8 with volume production scheduled to kick off in Q2 of 2017. Yield rates for Samsung’s 10nm process technology have been low prompting Qualcomm to turn cautious about its product roadmap for 2017, the sources said. Qualcomm originally planned for the Snapdragon 835 and other chips including the 660 (codenamed 8976 Plus) built using Samsung’s 10nm process, but has revised its roadmap by having only the 835-series made using the newer node technology. Qualcomm is expected to launch several 14nm chips including the Snapdragon 660-series in 2017.